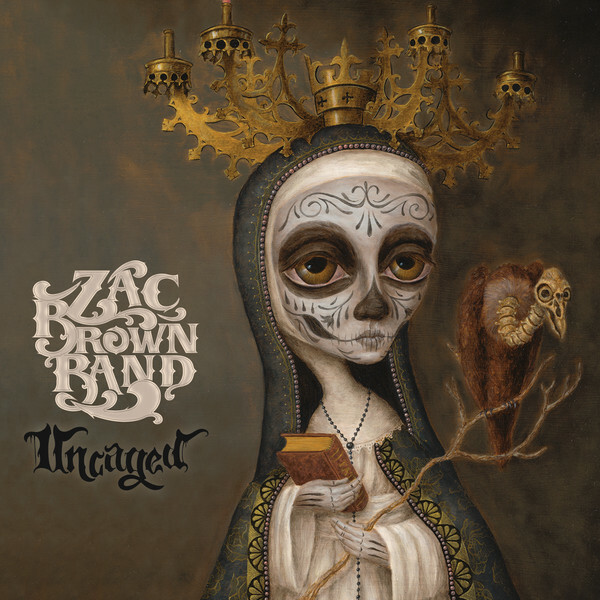 At this point in their career, with a pair of platinum albums, a hit live record, and enough Top Five country hits to fill a best-of collection, the Zac Brown Band has grown accustomed to dealing with the weight of expectations — so much so that the title of their fifth full-length, Uncaged, could be read as a winking aside to fans afraid they’ll start tinkering with their eclectic chart-topping formula, or as a warning to country purists who don’t appreciate the band’s willingness to color outside the genre lines. Neither camp will have its expectations challenged by this 11-song set, which lives up to Brown’s half-joking assertion that it’s “your basic country Southern rock-bluegrass-reggae-jam record” while never coming anywhere near the unbridled experimentation it implies. More than anything, Uncaged is an album that proves a successful country artist really can have it all — that it’s possible to tastefully blend the sensitive singer/songwriter tropes of Laurel Canyon artists like James Taylor, the faux Caribbean pandering of Jimmy Buffett, the deeply felt roots excursions of the Avett Brothers, and the smartly crafted pop concessions of Jason Mraz (who co-pens the leadoff track, “Jump Right In”). Basically, Brown gets to have his cake and eat it too, stooping to lines about preacher’s daughters and tiki bars while retaining the genuine good ol’ boy charm that’s made the ZBB such a breath of fresh air on country radio. And if the record never works up much of a sweat, that’s okay; this is music for relaxing and enjoying the good times, after all, delivered with just enough abandon to make sure you know these guys can really play — and more than enough hooks to keep the hit songs coming.